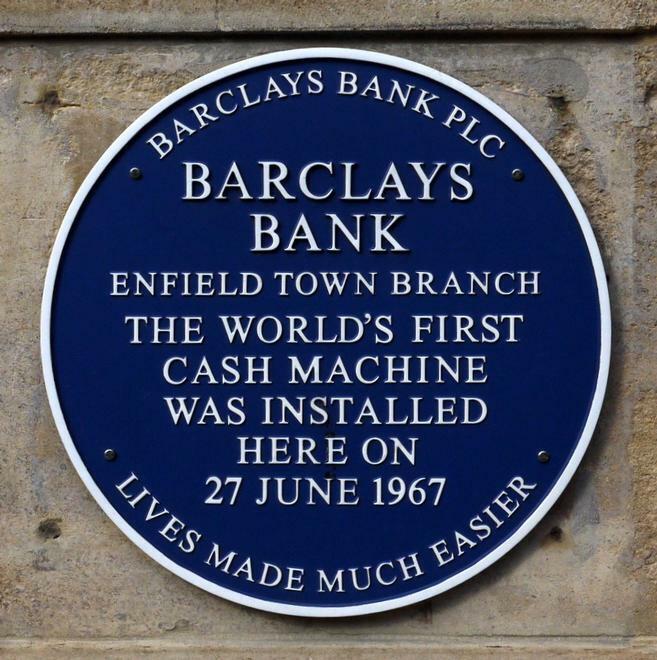 Barclays Bank, Enfield Town branch, the world's first cash machine was installed here on 27 June, 1967. 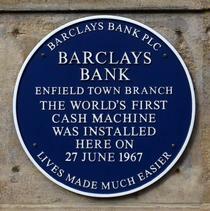 Plaque unveiled by Jayne Buckland, Mayor of Enfield. Londonist have a post on this with some photos of the momentous event.